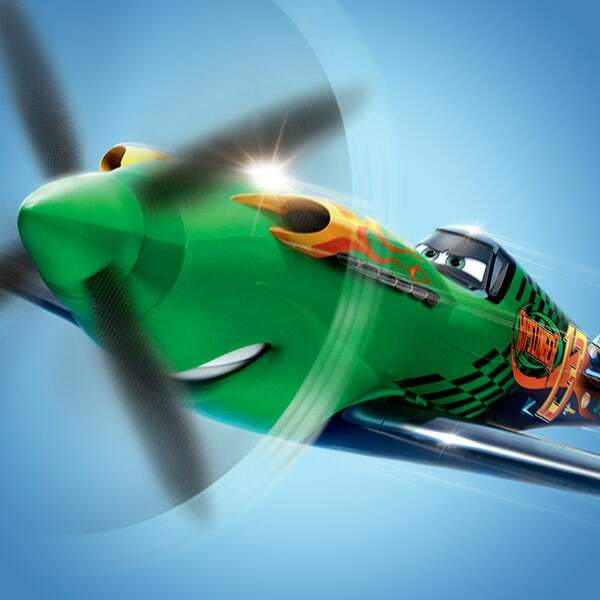 Crop duster by trade, this single-prop plane sees himself soaring alongside his high-flying heroes in an international race. 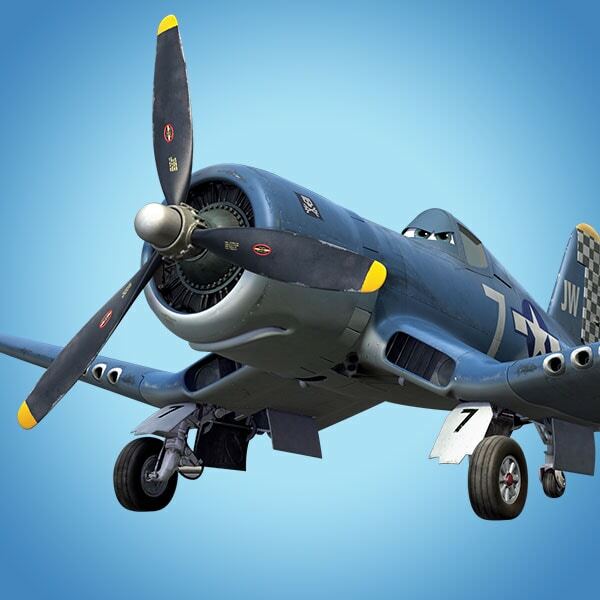 Skipper was an ace flier and top instructor of the esteemed Jolly Wrenches squadron until an incident left him grounded for life. 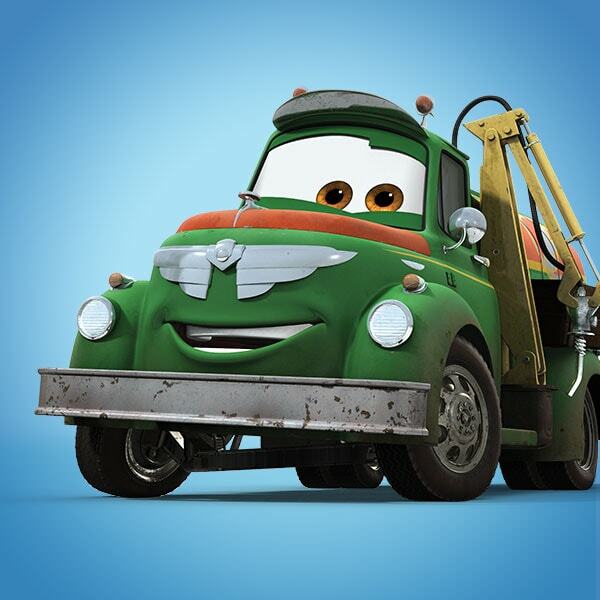 Fuel truck Chug works hard as co-owner of Chug and Dottie’s Fill ’n Fly service station. 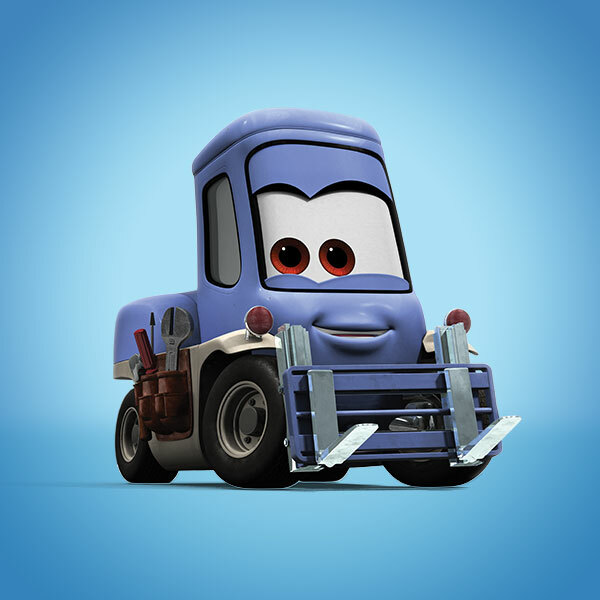 Dottie is a forklift who co-owns and operates Chug and Dottie’s Fill ’n Fly service station. As the proprietor of Vitaminamulch, Leadbottom has no time for Dusty’s far-fetched flights of fancy. Armed with stellar instincts and outstanding service records, Bravo and Echo are two of the Jolly Wrenches’ top troops. With more wins than he can count, Ripslinger is wings-down the biggest name in air racing — and he knows it. Team Ripslinger’s bombastic racers Ned and Zed specialize in sabotage. Rochelle is a tough racer and the pride of the Great White North. Powered by his passion for racing (not to mention the elusive Rochelle), this caped Casanova is anything but low-key. The reigning Pan-Asian champion from India, Ishani is easy on the eyes, but ruthless in the skies. Bulldog has been racing longer than every other racer on the circuit. This irascible race official pitty delivers the rules for the North American Wings Around the Globe time trials. Affable blimp Colin Cowling began his career as the play-by-play voice for the Pacific Coast Balloon Races. Meet the New Characters from Fire & Rescue! Check out photos of Dusty and his new friends from Piston Peak!